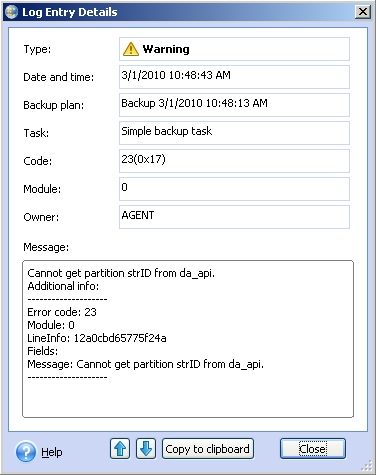 14234: Acronis Backup & Recovery 10: Backup Finishes with "Cannot get partition strID from da_api"
This is a false warning. This is a false warning that can be safely ignored. Acronis Development Team is working on eliminating this false message.